How do I trade / drop a shift? In order to drop a shift, your manager will have to enable this functionality. 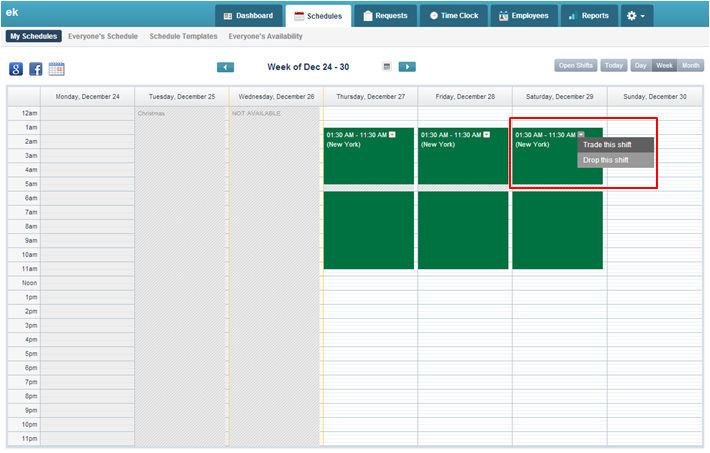 If this is enabled, when you view your schedule, you will notice a small arrow on the shift. If you click on this arrow you will see the option to drop a shift or trade it.